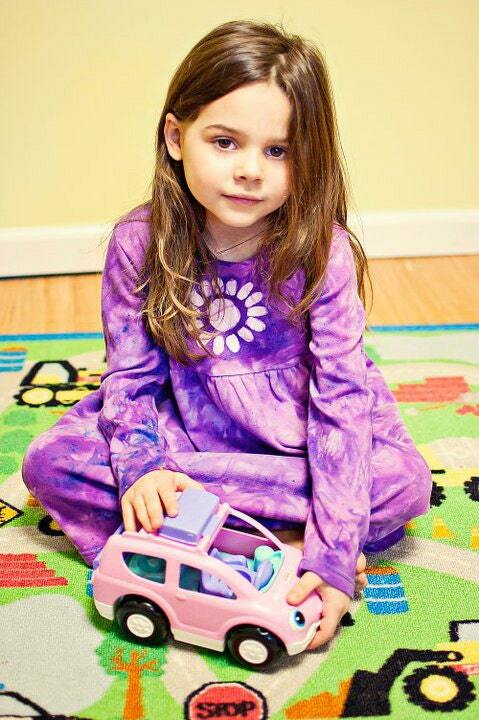 A cluster of pink hearts bounces along the hem of this cozy long-sleeve girls dress. 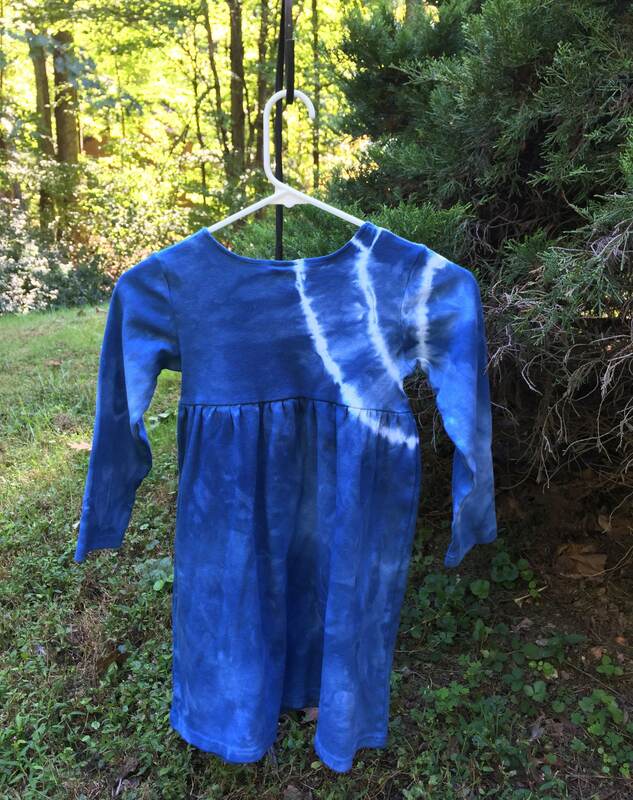 I stenciled on the and painted them pink before dyeing the garment blue. 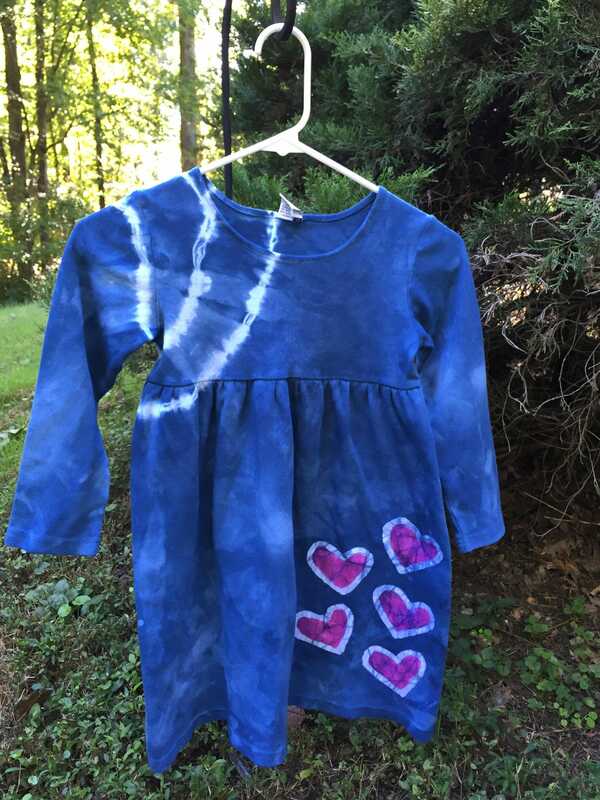 A few lines of tie dye add some flair to the opposite shoulder. This is a size 6 long-sleeve empire waist dress. These long-sleeve dresses are super soft and comfortable. They're made of 100 percent cotton and are totally cute with leggings on chilly days.